Kathy McCarty’s voice, a spirited yelp of continual rueful breathiness, is a national treasure which has been woefully under-appreciated. She and her band Glass Eye, stand-outs in the exceptionally rich local music scene in the Austin Texas of the late ‘80s and early ‘90s, recorded two of the period’s best albums. The first of these two, Bent by Nature, is one of the ten records I most frequently return to from the 1980s. The sounds of the album are vaguely recognizable as pop, but as the kind of pop somehow reconfigured from secondhand rumors, hazy and jagged reminiscences. Songs constructed from the rusty shards from the broken down chassis that litter the front lawn of alt-rock’s trailer home. It’s something streaked, edged, compelling… perhaps a bit funky? Mayhaps my friend, mayhaps… especially when filled with little lyrical complaints endearing in their specificity. Bent by Nature begins on the tense interplay of stripped-down guitar and bass, building to the introduction of McCarty, whose vocal talents outstrip those of the band’s male vocalist Bryan Beattie by some measure. Her voice is warm, hurt, but nurturing, and fills even the most innocuous lyrics with worlds of intent. Tension is built up through tight repetitions of guitar figures, but with no promise of a Franz Ferdinand climax. It is a record of rare releases, one that generally favors buildups or wonderfully agonizing stagnation. 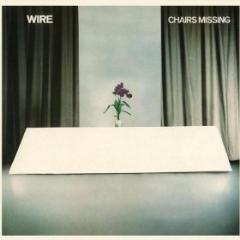 “Whisky” is a great album opener, but is unfortunately followed by “Comeback”, a Beattie song. While Beattie shares McCarty’s intensity as a vocalist, he lacks her dimensions, his voice not suggesting something tantalizing but hidden. The repeated lyrical concerns of frayed and unraveling romantic attractions throughout the record are perfectly mirrored in the instrumentation and playing, always edging on consummation but never quite reaching it. Until “Christine” that is. “Christine” is the album’s centerpiece and a surefire contender for one of the fifteen greatest singles of the 1980s. The themes of regret and things seeming to be endlessly tense without payoff are brought to the forefront, tension is broken only to fall back into slower tension. “Is there no way to win this silver thing?” she intones… maybe there isn’t. Glass Eye hold many moments of greatness, though this is the most pronounced. 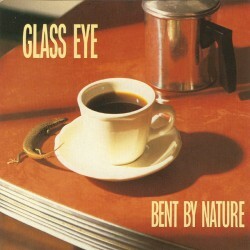 Glass Eye released one record after Bent by Nature before going silent for 15 years. They returned to finish their unfinished third album Every Woman’s Fantasy in 2006, with a sound so fresh it was like they never left.